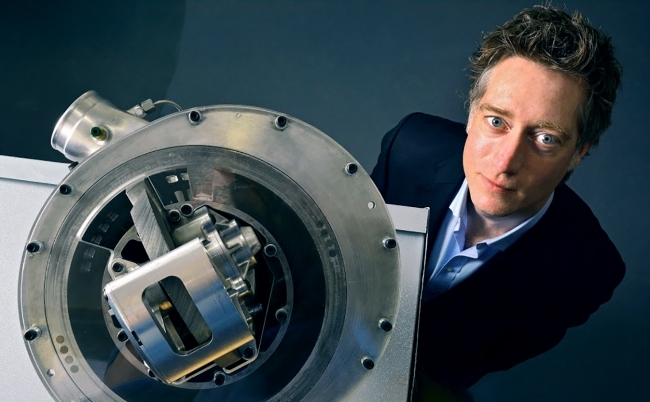 Lontra, the high-tech engineering company responsible for the revolutionary Blade Compressor®, has committed to building a high-tech onshore manufacturing facility in Warwickshire for its range of industrial compressors. The establishment of the world-class manufacturing line has been praised by local MP, Jeremy Wright and the Government’s Innovate UK body. The multi-million-pound project will create 75 jobs in the local area by 2020, producing the engineering firm’s award-winning compressor which is used globally across industry. The first part of the factory will open later this year, with a single flexible production line complementing the firm’s R&D Technology Centre in Napton. Lontra’s workforce is expected to double to 50 this year, with 25 new engineering and production line jobs. £65 million will be invested by 2021 in the development of this and a further site, with funding currently being sought for a second phase of expansion. The project is backed by Shield Group Engineering, one of the largest manufacturers in the UK with contracts to supply components to Caterpillar, Cummins, Aston Martin, Jaguar Land Rover and JCB. Steve Lindsey, CEO and founder at Lontra said: “This is a vote of confidence in Britain’s ability to manufacture at volume and high specification at globally competitive prices. We’ve long led the world in innovative ideas, the spread of technology across prototyping and manufacturing means than Britain is perfectly placed to lead the fourth industrial revolution. This is the first time that Lontra will manufacture directly in the UK, a statement of confidence in the country’s high-tech manufacturing capabilities. Lontra currently licenses its Blade Compressor design to global pump manufacturer Sulzer. The manufacture of compressors in Southern Ireland will continue under Sulzer’s license, with Lontra’s new facility tackling fresh markets and applications. The RT Hon Greg Clark MP, Secretary of State for Business, Energy and Industrial Strategy added: “Britain has a proud history of manufacturing and through our Industrial Strategy the government has outlined a vision that will build on our strengths in this industry and help shape an environment that enables businesses and manufacturers to thrive. Lontra’s expertise as an IP firm and its high tech approach to prototyping is recognized internationally with Japanese machinery tool firm, Yamazaki Mazak heavily involved in the joint project between Lontra and Shield, advising on manufacturing techniques and even manufacturing some Lontra parts in the Mazak Technology Centre to gain further experience of the machining of Lontra’s technology.